"The best method of collating media coverage that I’ve ever used!" Coveragebook.com is without a doubt the best method of collating media coverage that I’ve used in more than 25 years in the PR industry. It’s quick and easy to use and generates professional looking reports that can be issued straight to clients. The drag and drop function is particularly impressive. The system doesn’t provide all the statistics that we are sometimes asked for by clients, but the excellent presentation of the cuttings outweighs this minor inconvenience. Only a handful of our clients have actually requested more detailed information. It is definitely worth taking advantage of the free trial period, which enables you to create sample Coverage Books that you can share with clients and colleagues before making a purchase. We are solving the problem of presenting clients with monthly reports quickly and cost effectively. In the past, we have spent hours scanning cuttings and designing presentation documents. Coveragebook.com is quick and easy to use. "Coverage Book saved me so much time making presentations for our clients! " I love how you can just paste the links and all of the screenshots are done for you. This made it so easy to just copy paste all of the links I had in my Excel sheet and create a professional, creative looking press book for our client. I dislike how it cuts off some of the words when taking the screenshots, but it is not super hard to fix by manually taking a screenshot. I highly recommend using coverage book to showcase your PR media coverage and client work. Saves a lot of time and organizes a beautiful, professional looking press book. We are solving the problem of the time consumption it takes to make press books and showing our clients all of the media coverage we have gotten them. I used to screenshot articles manually and it took so long to compile a document with all of these screenshots. Coveragebook easily compiles all of the screenshots and labels them, shows statistics on views, and gives you the option to be creative with it so that it gives a professional and attractive look. 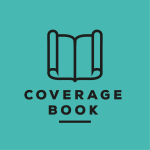 Coverage Book is a fast, simple way to collect all your online and print coverage in one place. It's comprehensive, including a screenshot, a link back to the article and social stats. Plus, it's easy to share with clients by either a link or downloading the book. Sometimes the screenshots do not automatically work or are broken, but you do have the capability of taking your own screenshot to replace it. For larger coverage books it would be nice to have some kind of clickable table of contents to easily move between sections. There is no Twitter integration, so social stats are incomplete, but still helpful. If you are looking for a tool to showcase your coverage this is a great one. Before we were manually taking screenshots of articles to share with the client, so usually would just choose to highlight some of the coverage. The Coverage Book allows us to comprehensively share all coverage, which is nice especially for our larger accounts. The time saved to collect and share all coverage in a visually appealing way is a game-changer! Also, when we have large amounts of coverage being able to share a link is a great option instead of having to send a large file over email. "Save time while giving your coverage its best shape"
Zero setup needed. Just paste your on-line coverage links (or fb/tw/yt links as well) and Coveragebook will build in seconds an awesome web page showing your articles with title, date, sharings and other useful analytics. You can upload also your offline coverage files (PDFs&video) and showcase all your PR outcomes. After uploading and putting in order your pieces of news, you can also add customized separators and download everything in a fantastic PDF presentation. Sometimes the system does not recognize properly data about publication, title and date, so I'm always verifying articles and clippings one by one. But it's nothing compared to making screenshots and collecting data one piece at a time!! Also, I don't really trust the estimated metrics included in the system. Fortunately, you can easily hide them with a couple of clicks. Last, when you generate PDFs of coverage reports, clippings sometimes become unreadable because font size decrease with pages that are scaled down to fit the landscape orientation of the presentation. If you're struggling in the coverage review battlefield, Coveragebook is really worth a try. Coveragebook gives PR people the possibility to showcase their outcomes in a very professional way without spending precious hours in presentation design. As a freelancer (= one-man-band) I need to concentrate on added value activities instead of report design with Power Point. Thanks to Coveragebook.com my coverage presentations are not worse than those created by famous PR agencies. The best thing about this website is that you can easily handle all the data regarding your content.You can directly get the entire analytics at one simple place and it is easily accessible as well. It sometimes ails to understand simple data like name or the author and one has to type in the entire data all by himself,it is not often that one faces this but when one does it really is a nightmare to solve. Come and enjoy the plethora of choices that are up for offer. I used it to prepare a book of the year where we had to put in all the hits of the year and my god it was so easy to make,all we had to do was to simply upload the data and the rest was taken care of all by the software. It is very convenient to use! Easy to make Presentations. Saved efforts and time! The server runs down for me sometimes. Page didn't load correctly multiple times! I would emphasize a lot on go with the product You will save a tonne of time and of course get easy access to all your needs just on hands on any devices across your office! If you are thinking of using the product, just go for it. It will be worth your while. For mu company, our biggest focus is delivery by the deadline! We try to reduce the time consumption by using this service and so far it has been really effective! I have had a PR agency for over 15 years and one of the biggest drains on our time was preparing the PR coverage document and trying to find the circulation details, whether it got shared on social and all the other little things that build up the picture for our clients. I was SO pleased to find Coveragebook.com as it has changed everything for us! I have now been sharing the app with all my PR friends and we are all in agreement that it is absolutely brilliant and saves us hours of time and money. Nothing really! I would like to be able to customise the front cover and add a page of text on the platform but coveragebook.com offers ways to get around that pretty simply. I can't recommend this product highly enough! For anyone that is working in PR and wants a document that shows all their PR coverage, this app is awesome! We have even put together our own 'brag book' using CB which we can show to clients if they want to now a bit more about us. I love it and am always telling other PR professionals about it. It's brilliant! It saves an enormous amount of time (which is also money when you are paying someone to do the research) and provides a professional looking document that I can send my client to. I love that it also offers the number of links and the social shares. "Organized, Great Way to Share Coverage"
Everything is organized and visually looks great. Makes it easy to add coverage and love the share options. The metrics section is really helpful and is a great section to add to our wrap up books and PR reports for clients. Sometimes it is a bit of a hassle to edit coverage, as it tends to disappear into the mix, which can take time to find when you have 500+ pieces of coverage already listed. Some of the images could look a little better. It is also sometimes time-consuming for clients to find specific pieces of coverage - a search option within their book would REALLY help. Helps cut down on time spent on documenting coverage and helps our client always have one spot to visit and see coverage. The metrics provides clients with a quick snapshot of the results of their coverage and helps our team keep track of year-to-year numbers and if we need to increase efforts. "Great tool for beautiful coverage reports to showcase your hard work"
Easy to use - pull in links and they do the rest. It grabs nice screenshots, helps you design a finished piece for clients with very little time and effort. They should have better one-time use pricing for folks who only need big reports a few times a year. They are likely missing out on business opportunities for people who do not want to spend $99/month for a service they use 2x a year. Also they need to work on sites that increasingly have launch ads at the beginning before you get to content - it often screengrabs those instead of the content itself. Coverage reports for clients for a PR agency - this is usually time intensive and also requires us to design something nice looking to impress execs. This tool does most of the work and allows you to showcase your top level work. "PR Dreams Come True "
CoverageBook has saved me so much time and energy. Not to mention the software's customer service is amazing— Alan has been prompt and so helpful! We have already recommended this platform to several friends and colleagues. We used to report our clients' coverage with Excel. CoverageBook is faster and more user friendly, its analytics are a great bonus for our clients', and the final product that we deliver looks so sharp! "Time saving PR reporting with professional polish"
Love the functionality and automated metrics. We used some of the same tools and methods to manually collect data and imagery, this puts it in one place and streamlines the process. I like that the reports can be shared via a link and are also downloadable with customization options. Downloading the browser widget to add links to your Coverage Books is a great added benefit and time-saver, too. I like that you can now use one credit to upload a story, but you can feature the same story in different books. Not much! New updates happen all the time, and they are very quick to implement user feedback. I've seen several new capabilities and value-added offers come through. It would be nice to have videos automatically play, whether from YouTube or Vimeo, etc. Also, in a perfect world, we could align with our media monitoring tools and drop hits right in to custom reports -- especially for broadcast monitoring. Coverage Book staff offers a great trial period, and they're very responsive with any feedback. Within a week or two of signing up, they had implemented several things that we asked about during our trial. Use the chat function to ask questions and share what works best for you, and I'm sure they'll help find a good fit for your needs. As an agency, Coverage Book provides a lot of time compared to manually pulling links, screen shots, logos and researching metrics from different sources. It gives a nice professional polish to our reports, and the ability to easily share a link in real-time or download a PDF for file sharing and record keeping. "Time Saving Solution for the One-Woman-Show"
When I started my own public relations consulting firm, I didn't realize just how much time I would need to dedicate to administrative tasks. As I began to see time taken away from serving clients, I started my search for tools that would help me save time while completing necessary tasks. CoverageBook has been a god-send. Instead of spending hours compiling coverage reports, I can quickly and easily aggregate media hits for my clients. Not only are the PDF reports beautiful and easy to understand -- I can also provide my clients with live links to their CoverageBook so that they can watch the stories rack up. I can continue to complete proactive PR strategies while CoverageBook does the hard work for me. I've also used it to create my own portfolios to track my entire career's worth of hits! I don't dislike anything about CoverageBook. It rocks. CoverageBook allows me, as a consultant working on my own, to eliminate an extremely time consuming task while increasing the data I can provide to my clients and helping me to show them the true value of my services! I have saved money and time thanks to this tool, all providing materials to clients that are more organized and professional than I could create on my own. "A unique product with GREAT response time"
My usage of Coverage Book is a bit different then that of PR professionals. I am a sports agent and in my case I wanted to be able to show value back to sponsors either via product placement that shows up in national / regional media and to show the athletes where all of there interviews & photoshoots they have been doing on the Road to Rio end up. It has been both a teaching tool for the athletes and show them the value of all of the interviews and show them the reach of it. The ability to drag and drop weblink into their platform has primarily been terrific. Coverage Book's response time to questions has been outstanding. They get back to you within 36 hours it seems like. I am in Los Angeles and they are in Great Britain. I have really liked that part to this. My dislikes have been minor. Their are some functionality things that they will get better with in the future, but they seem to always want to help out. They need to have a bit more flexibility on the platform for all of the ways that the message/media can be shared. With outlets using Instagram and Twitter previewing an article I can hope in the future that the platform can use that for measuring as well. The crop tool hasn't quite worked for me yet, but like I said they really work hard to try and please. Their are so many different internet browsers (i.e. / safari / chrome, etc) that this may be affecting me. I think if your in the PR business that you should use this and start to save your company a lot of time. You can still do what your doing traditionally but for the heavy work load of PR clippings this is the way to do it in the 21st century. I want to show sponsors value for their investment in my clients. They may have an outside agency, they may not. I am able to give them something that possibly my competition is not doing. You start to understand the reach of many different outlets some maybe you should do more with, some you do less with but you understand the total reach a lot better. "Quality product meets quality customer service"
I think the part that attracted me the most is the "Solo PR" plan. There aren't many services out there that offer affordable service to the freelance/solo PR practitioner. For a small monthly fee, I'm able to provide my clients with beautiful coverage reports that give them insight as to how their campaigns are progressing. I also enjoy the fact that I can add an intern or two to a project if I need to for FREE! I would definitely recommend this to others who do freelancing work or are even part of an agency. The main points that I'm "disliking" are that reports aren't able to pull Twitter shares yet. This is a feature that I believe they are working on and one that will be nice to have. The other is that offline coverage requires you to manually input metrics. Now this isn't a huge deal if you are a solo person that has smaller accounts but for a bigger agency, this might take a moment for those who are compiling all this together. It would be fantastic if down the line, (keep in mind I dream big) would maybe develop their own monitoring software that would flow into these reports - a one-stop shop if you will. Basically, if you want to save time on putting together client coverage reports, you NEED this product. 1) My clients get better and more accurate results on their coverage as, again, there aren't many affordable tools like this for solo PR practitioners. 2) The metrics included on these reports by themselves are easily digestible for anyone. This makes the process of understanding and measuring success much easier. 3) The time it took originally to make press clippings and to track down all the leads from each piece of content as reduced dramatically. It's all right there as soon as you upload your links to coverage. "Coverage Books improves my workflow "
Coverage Books makes it easy to display media placements and is 10x quicker than my previous process of saving/copying/pasting, etc. into InDesign. They are constantly improving the platform and send tips which prove to be helpful to me and my team as we prove results. I look forward to CB continuing to update the customizable reports, but am super happy with it currently. The issue of the amount of time it takes to compile a media report with images and a full clip is solved with Coverage Books. I can easily share the report with clients and it makes making annual reports a snap. "A must-use for PR media tracking"
My first thought after using Coveragebook: Imagine how much time I would've saved as an intern! I can't say enough great things about how easy this tool is to use and how much time and headache it saves a PR professional who is tracking and reporting their clients' media presence and ROI from media coverage. The result is a polished report that clients will be excited to see (and you will be proud to present). No dislikes! Using the tool saves me a ton of time (and time is money). It even alerts me if I duplicate a link so I don't use up credits on accident. Creating media trackers with metrics have never been so easy (and enjoyable, I might add) with Coveragebook. The process is easy and my report is consistent and polished. A perfectionist's dream! Try to negotiate over the number of monthly pieces of coverage you;re limited to - it can be used up faster than you might think. I use Coverage Book to produce coverage reports for presentation to, and use by, colleagues up to and including board level. They also serve as a fast, accessible tool for cretaing lists of platforms and journalists who have written about a subject. "Coveragebook Shows Value of PR"
Coveragebook pulls clips from a variety of media sources into a eye-appealing easy-to-use design. Our clients can easily see the impact of these media hits and enjoy scrolling through the PDF. And they can save the PDF to use in their own meetings to show the value of PR. While they have added the ability to add coverage on social media sites, we are still waiting on these clips to include relevant statistics like number of followers or shares. There is a free trial aspect that you can take advantage of before spending money. Our company is using Coveragebook as a means to track the coverage our client gets via the media opportunities we set up. It puts a number and value to PR that is sometimes difficult to express. A benefit is that our clients can easily see the value before their eyes. "Coverage Book is the #1 tool for entry-level online PR reports." It's really quick and simple for someone who has little to no experience in online PR/marketing tools to pick this up, dump a bunch of URLs and create a useful, pretty report. The lack of Twitter is a little frustrating but it is not a deal breaker as you can get that information from elsewhere and then manually add it in. It's such a low-risk product to test - and the support is so good. If you're looking for a way to efficiently create reports for PR or content marketing projects, this is a pretty good place to start. Coverage Book has provided an efficient way to curate key PR and content marketing metrics and turn them into tangible, meaningful reports. It allows us to add substance to the phrase "brand awareness" or "exposure" and actually give these words meaning. I love the ease of making coverage books and the fact I don't have to learn a system. Just cut and paste URLs. I like how the product is continually evolving. It's super handy to have the product available in so many formats so that I can tailor it to my client. I love that we have a tool to share metrics now; our social media team uses super robust metric monitoring, and we haven't had a comparable tool before now. I really like that we can click through to the coverage while in the book. I wish the social media metrics updated automatically when I open my book; although I'm thrilled you guys have the refresh button it would be great if it was automatic. I wish the metrics were more accurate and I could know with more confidence that the numbers are right. The images could also use some work; I often have to go in and fix those. Same thing with the headlines; I wish those were more intuitive and didn't require me to go in and fix them. The layouts are fairly basic and pedestrian; I wish I could customize a layout once and then leave it for all of my books going forward. It would also be great to bucket my books in various ways, perhaps with a tagging functionality, as my client could differ but the type of PR/outreach is the same. Fantastic, easy tool designed to showcase coverage. While not perfect, this is the holy grail of PR and measuring impact and this product is well on its way. I've been able to showcase campaign coverage in minutes and in a format that's widely shareable. "One of the Best PR Tools!" Coverage Book takes the mundane and time consuming busy work out of monthly PR reports. With just a click, each piece of online coverage has stats, screenshots/clips, social shares and other important data a client wants to see. To say it saves me hours and hours of work is an understatement. With the added perk of Excel downloads, all numbers can be added quickly for various client needs. I am so happy I found this tool! I could not live without it now. I just wish the offline press function automatically could add stats in too. However, it is very easy to go in and add thecirculation numbers I find on Cision or from a magazine's media kit. Otherwise, I can honestly say there is nothing I dislike about the tool at all. It has been so helpful in so many ways. I do not know what I would do without it. This solves the time consuming aspects of building monthly PR reports and gathering data manually. Clients are extremely happy with the layout and how easy it is to make sense of each placement. It is FANTASTIC. I can not sing the praises of Coverage Book enough. "Coverage Book is tool that has massively freed up our time to focus on open digital PR campaigns." Simple and intuitive interface that made reporting on digital PR campaigns an absolute breeze. The tool gathers all social shares, SEO metrics and estimated impressions automatically, which is a big plus as we don't need to rely on several different tools to gather all the data. These reports have certainly improved our clients' experience as well. They can easily download the report as a PDF or CSV, for further analysis, whilst still having access to a mobile-friendly report that includes campaign data and media coverage all in one place. We feel that Coverage Book allows us to truly showcase the value of each feature we get for our clients, thanks to the screenshots, clickable links to the placement, social sharing data, SEO metrics, estimated views and the possibility of tracking whether backlinks to the client site were added to each feature or not. I can't think of one thing I dislike, the tool has been getting better and better with time. It would be good to have a private space for clients but that's something the Coverage Book team is working on as far as I'm aware. And we've also requested the possibility of having public access to our portfolio of reports for specific campaigns in order to use them as part of our case study information during sales. Give it a go by accessing the trial and check if it's the right tool for your organisation. The compilation process is so simple that it can be easily automated and delegated to an entry level team member. My team used to spend countless hours compiling reports for the visual content marketing campaigns we launch for our clients on a daily basis. Considering that we launch a minimum of 4 campaigns every week, you can imagine how much time used to be spent on the reporting stage alone. Since we've started using Coverage Book, we managed to free up big chunks of our time that we can now spend on relationship building once a campaign has been closed. "Easy to use, don’t have high expectations "
I love that it just Compiles everything together quickly! Just add in the links to the articles etc and voila! I understand it because it’s my job but a lot of my clients don’t know what to make of it. It’ll be cool if it explains what the numbers are for and what it means a little bit more. Play around with and use video tools to help! "Great product - Incredible customer service. " I've been using Coveragebook for about six months and it has saved us a huge amount of time and effort. Recently, we had confusion about pricing and the CEO reached out to help us. That level of customer service you cannot find anywhere. Thank you for being such a great company to work with! Nothing. I have really liked the Coveragebook product. "On a Scale of 1 to 10, CoverageBook's a 12"
Love the ability to quickly, visually show clients the earned media for their project. No ability to aggregate reach analytics. While each story provides analytics for that one specific outlet, it would be great if there was a way to provide aggregated reach analytics for a story that appeared in say 200 outlets. . .
Unequivocally recommend CoverageBook. It will save you time and your clients will love seeing their stories and analytics in this highly visual format. Clients love being able to actually see (and share) how their stories appeared online. The ability to upload and use alternate images enables us to choose the best graphics/images for a given story. The time we've saved using CoverageBook can't even be calculated. It would have taken hours, if not days, to compile the data CoverageBook puts at our fingertips. "Impressive coverage books and a refreshing no quibble refund policy on automated renewals"
The online coverage evaluation is completely automated, saving significant time. The PDF's look great on the screen and print out well too. Saves so much time and are always well received by clients. Fantastic tool for media coverage and for case studies. Thanks Coverage Book team - keep up the good work! As an ad-hoc user, the auto renew sometimes catches me out, however the team have a no quibble refund policy on automated renewals which is very refreshing! They offer a free-trial, so you may as well give it a go! It is very useful for online coverage and automated reporting but takes additional manual labor for print and online coverage and there is little wiggle room for anything but their automated metrics. We use it to create PR recaps and it greatly saves us time and pulls data from online coverage. "Metrics with the minimum of fuss"
We don’t have the budget to monitor media so having a subscription to Coverage Book helps me to archive and compile a really professional press book that I can share with my Directors. I particularly love the fact that the metrics for online copy is all worked out for you and the totals are displayed clearly with the minimum of fuss! I get frustrated that I still have to manually retrieve metrics for off line content. It would also be great to integrate video content and social media in some way. I work for a not-for-profit touring circus specialising in free, relaxed and inclusive performances for children with additional needs or from disadvantaged backgrounds. A part of my role, as Community Engagement Manager, is to promote Circus Starr locally, regionally and nationally. It’s quite a challenge to secure media coverage as we are the only UK circus to travel every other day when on tour so I like to have a record of the press we’ve secured with circulation figures and advertising value equivalent to show the return on the time I've invested. "Coveragebook is an effective and helpful tool when managing a client's coverage"
The online coverage generator, it's so simple, you just copy and paste the URL link and it takes photos of your coverage, which you can easily save off as jpegs, and it automatically provides you with all of the information a client would be interested in such as circulation, estimate coverage views and DA. There's not much! Very rarely the link in your coverage isn't recognised but that was rectified quickly by the team at Coveragebook. It's the perfect tool if you generate a lot of online PR coverage for your clients. The layout is dynamic and super easy to use. The examples can get you started and you are able to replace them with your own book info. It's really easy to use and looks great. There isn't much that I don't like about it so far from what I've seen. It's a viable and interesting way to promote. So far its helped me in terms of media PR layout. I'm excited about the prospects of using it regularly. "Best PR Tool Ever Invented! " Automated Screenshots of the online media coverage and Automated Metrics of online coverage, that prove the impact and reach of the secured coverage. It saves enormous amount of time. I have no dislikes at the moment. Any serious publicist who values its own time should invest in using coveragebook.com. Not only it saves time by pulling together screenshots, metrics and helping you put reports in a nicely presented coverage book, it allows your clients to understand the metrics better. Clients want to know the impact and value of the PR campaigns and coverage secured, the coveragebook.com helps me put these in a nicely presented book. The best tool i've used for quickly creating great-looking coverage books and recaps that are easily shareable. analytics data is very helpful for evaluating campaigns and prioritizing outlets for future pitches. Essential for small teams. Sorting and tagging coverage into subgroups isn't perfect, and can be time-consuming. Tracking, analyzing and sharing PR coverage. As single person doing PR, these tasks are usually labor intensive or require a subscription that our well beyond our budget. "My Clients Love CoverageBook "
Not only is creating a CoverageBook quick and easy, but they look great. My clients love being able to see all the coverage for a particular project on one link and to be able to download screen grabs of it easily for their reports. It's great that you can keep adding new coverage to an existing book without changing the url to the book. This ensures my clients always have the most recent and up-to-date coverage on their projects. The social share statistics could be better. I wish you could track a hashtag or Twitter keywords on top of media coverage. I usually have to use another tool to better track the social analytics. CoverageBook is a big time saver. I used to dread making media reports and with CoverageBook that's no longer the case. I have also incorporated the books into new client pitch presentations, as it's a great way to showcase my work. 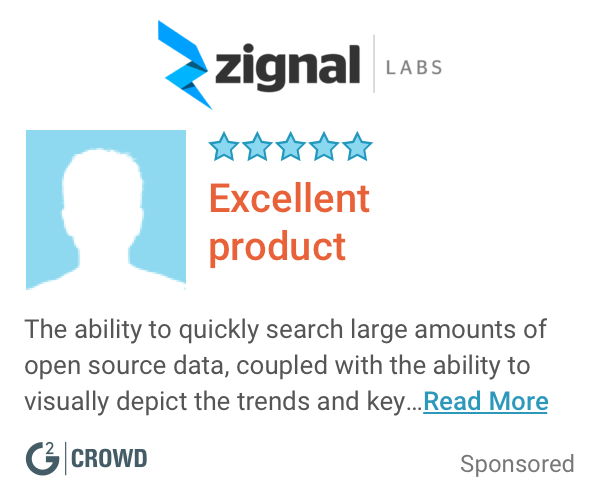 "Quick, Easy with Professional-looking Results"
I like that it is quick and easy to add both online and offline clips and, more importantly, that it automatically gathers basic analytics for me, which is a huge time-saver. I wish the platform handled multi-page pdfs more elegantly (I end up dividing them into multiple 1-page pdfs), and I wish I had more cropping/layout editing options. I work with multiple small clients that can't afford to have their modest budgets eaten up by hours of clipping and reporting services. Additionally, many of them use their coverage to report to backers or secure funding. Coveragebook enables me to get them results quickly in a format that looks professional and is easily shareable. "Time-saving, genius PR tool! " Coveragebook has made a huge difference to my job, and client satisfaction. It's great to have such a speedy and slick means to gather, sort and evaluate all coverage in a matter of minutes. Clients love it and it's affordable. Win win. From what I can see, it only accepts print and online exposure, not broadcast (radio/TV). My biggest result in a month could be a BBC Scotland TV splash for a client, yet there doesn't seem to be a way of showcasing that in the reports, which potentially dilutes its impact to clients. Or am I missing something?! Do it. Clients will love it, it's a great way of showcasing the great work that you do and for them to have all of the results in one cool little package. Being able to provide monthly coverage reports for clients so that they can report back to their Board etc - they look great, and they're quick to produce. Amazing. So pleased you like it. Did you know you can upload video content. Either as YouTube, Vimeo etc. Or you can import MP4 videos and we'll embed a player for you. I love saving so much time and money in so many ways. I've been in PR long enough to remember making hard copies of our clips and having to look up circulation numbers. CoverageBook is the best thing ever! Even just a couple of years ago, before I started using it, I had to hire someone to put a clip report together for me. Thank you for making my life easy and making me look good to my clients! It takes a little while for the clips to load. But it still is such a time saver that I can't really complain. Also, I wish there was a lower level subscription because I'm an independent practitioner and don't really need all the allotted clips that are provided within the subscription. The reports are professional and easy to share. My clients are always impressed. And I don't need to hire outside help to do this for me or take time away from other important tasks to do it myself. "Coveragebook saves HOURS of time"
Coveragebook has saved me hours of searching for coverage statistics to use at my job. It's as simple as plugging in the links and receiving the coverage views within minutes. I don't know how accurate the coverage statistics are. Cision, another popular PR resource, has drastically different stats than Coveragebook. Be wary of the accuracy of the coverage statistics. Some of them seem about right, but others seem really off. We're mostly using it as a timesaver. And it's helped us gather stats to deliver to our client that might not be available anywerhe else. "Great tool for displaying value and metrics of Public Relations"
I don't like that the display is not very customizable. I like the ability to update the highlights section, but I dislike that you cannot pick and choose your own designs for the template per client. This is great if you're looking for a link that your customers will be able to share easily throughout their organization and with board members. If your clients are "old school" and still like to have a physical clip book, this may not be the product for you. We are solving the business problem of showing value and ROI through media placements our public relations agency places. We have realized the benefit of metrics when explaining the value of the services we offer. "Really excellent, looks great and excellent service"
I wasn't quite sure how much coverage was going to be generated over the project - so wasn't sure which level to start at - however Gary and his team have been nothing but super supportive with my many questions. Last year we wrote the report with Word and uploaded images and tried to work out the reach - it took ages - this year - much of that headache has been removed. "Easy way to showcase coverage for clients"
This is honestly one of the best tools I've come across working for a PR firm. It allows users to quickly snap coverage by simply inserting the URL into the generator. It quickly works (less than three minutes) to screenshot all necessary aspects of the site. Don't like the image it grabs? You can upload your own or clip the screen to showcase what is important. Sometimes sites will be difficult and won't let a "robot" clip its page. Therefore, you will have to go in and manually clip the page, which is what you wanted to avoid by purchasing this product. If you're looking to save time on clipping, this is the product for you! It truly saves you time and money in the long run. I went from clipping pieces of coverage, which could take up to four hours for a full report, to having CoverageBook clip the coverage for me in just a few minutes. From there, you can added in the UMVS, the circulation numbers, or anything else - there is a choice for customization! Coveragebook quickly creates high-level media books for coverage that showcases what has come out over the past month, quarter or year. It's a hit in my agency! "Time saver, data relevant deliverer"
As an independent consultant with 3 clients with differing coverage and business objectives, coverage book has been game changing. Apart from the ease of use (why did nobody think of this before - THE TIME SAVED! ), the data available, particularly online and social, in a quick shareable format is excellent. Editing tools are simple and intuitive. This is a tool that presents, suggest and delivers evaluation information from the perspective of a PR looking to give the most succinct, relevant and visually pleasing information in report format that can be tailored to the specific strategic and PR objectives of a client. I love that CoverageBook makes creating PR reports so easy. It is an extremely valuable tool because it not only saves me time, but it automatically creates a report that I know my clients enjoy reading. There isn't much I dislike about CoverageBook. However, it would be cool if they synced with other software programs like Mention and Coverage Book to automatically pull relevant coverage for me to add with the click of a button. It allows me to present my clients with easy -to-read coverage reports. I feel proud to show these reports. They help quantify the work I do for them. Without wishing to exaggerate, discovering coveragebook has been life changing! We’ve used coveragebook for some of our high profile events that achieve extensive national coverage, usually resulting in weeks of work to record and present cuttings manually. Not only it saved us time, the professional presentation has given us a real edge when pitching to potential sponsors and media. And it’s affordable too. Such a fantastic product and long awaited. It used to take weeks to collate coverage following our high profile events that acheives a huge amount of coverage, now it's so much simpler. "Coverage Book Review for Earned Media Work"
Visual look, easy ability to copy/paste multiple URLS. A very innovative product that's a real time saver! Sorting function is a little cumbersome. Wish we could also have full-text versions of the articles somehow in addition to the CSV export. Could also add more levels of pricing for annual subscriptions and custom URLS instead of just custom domains. A huge time saver for reporting after earned media pitches; great presentation to clients, donors, etc. Social analytics are a wonderful time saver and important add-on as well. Where has Coveragebook.com been all of my life? I find it nothing short of genius, as it saves my PR company countless hours researching and laying out clips. Plus, the layouts are fully customizable, making it easy to show off your work to current and prospective clients. I found it hard to downgrade service, which is something the company claims is easy to do. Maybe some more social media analytics, shares, etc. It would sometimes take me an entire day to do a manual coverage book/report. Coveragebook.com saves me so much time which I have put back into serving my clients and building my business. It's also a great way to show off your work! I think that every PR company should invest in this service! "An awesome tool - I wish this exited before!" It's so easy to use, and all you need to do is copy/paste! It has really made my life easier, saved me so much time, and is better than anything I could have created myself manually. The metrics included in the tool are also great added value. This is making me look good in front of our leadership team. Some of the screenshots include a "sign up for our newsletter" or other overlay but I'm sure this is something that will be fixed over time. You won't regret it! Perfect for SMEs and startups as well as large organisations. Definitely a godsend for any PR agency. Internal communication with the leadership team on the work I am doing. "a must have for any PR firm"
I absolutely love coverage book! It is so easy to use, and helps create quick and beautiful coverage books that my clients love. It would be nice to add in personal features such as writing in notes. Make sure to review pricing. If you're only adding a few clips, you could use the software for free. $99/month is expensive for a small firm! Coverage book allows for my business to quickly create reports for clients showing all clips that we have garnered. "Easy and to-the-point coverage tool"
The speed with which impressive coverage reports can be generated. You can't delete client folders, so if you accidentally make one with an error in it, you're stuck with it. I'm hoping they'll fix this soon though. Don't bother reporting on communications (or just PR) coverage manually. Just use CoverageBook. Works for videos, online or offline coverage, social media, custom sections, anything you like. Calculated metrics are exceptionally useful. PDF exporting and online sharing are easy to use and look great. Rapid reporting across an integrated communications output with detailed and automatically calculated metrics. "GREAT tool for PR professionals!" There are so many great aspects to this program. I love that I don't have to clip anymore! I scan and call it a day on hard copies and simply use a link with online placements. Major bonus that the analytics are already figured out for me and my client. This saves a ton of time! I so appreciate that I can send the clients an instant clip book of hundreds of pages or just one placement, depending in the need. There are a few things that bug me, but nothing too major. Sometimes the upload speed can get slow. I think this is being fixed though. I also don't understand some of the analytics beyond the obvious ones. I did not see the plans at first and thought $99 a month was the cheapest. I am glad I called in. Time management for sure -- this saves hours! Love that I have a tool that consistently enables me to provide clients with a detailed report over and over. * We monitor all Coveragebook.com reviews to prevent fraudulent reviews and keep review quality high. We do not post reviews by company employees or direct competitors. Validated reviews require the user to submit a screenshot of the product containing their user ID, in order to verify a user is an actual user of the product.